I promised that I would be sharing my "Lipstick Collection" from my last post... It's actually not a lot! So I hope I didn't deceive anyone into thinking I've got tons. I just thought I would share with you this before I do a new post about the NYX lippies my older sister hauled. I actually was never big on colored lips because I thought that it was such a drag to constantly check if I just smeared the product on the edges of my lips or my teeth. Yes, I thought lipsticks were such a drag! It wasn't until I received a comment from my cousin's friend stating how much my lips lack. 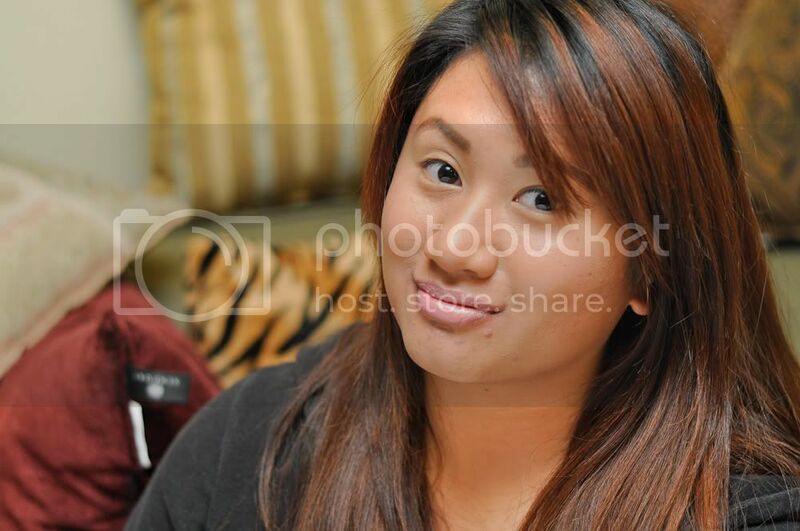 Then I realized I seriously disregarded my lips in my daily makeup routine. Starting then, I decided to look for good lippies! My skin is in its worst condition ever. I don't know why, but I'm breaking out like a kid that just hit puberty! LOL. I've used minimal amounts of my Maybelline Superstay Foundation and lightly dusted on my Mac Studiofix Powder in NC43. Sorry for not using any concealer or doubling my foundation! You will see that my chin area is suffering the harshest blow of the breakout I'm having. 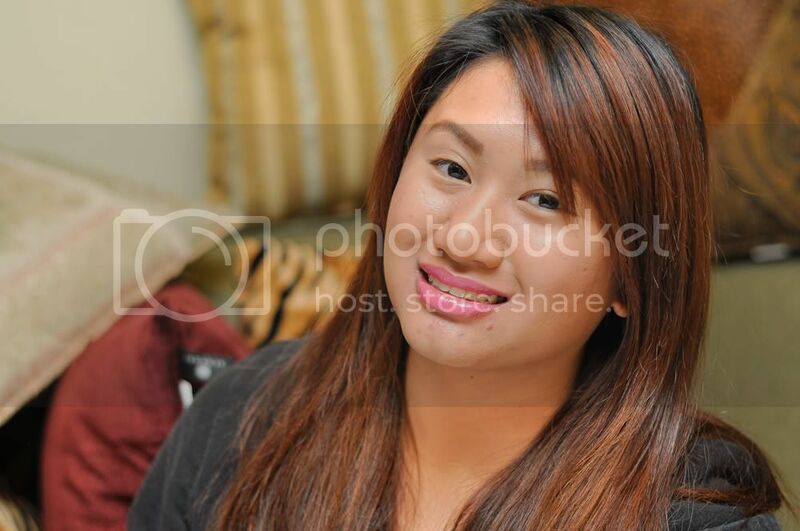 And as a beauty blogger and a person, I prefer to look like myself in pictures so I didn't edit the pictures. I just hope it doesn't bother you all much... Please? LOL. 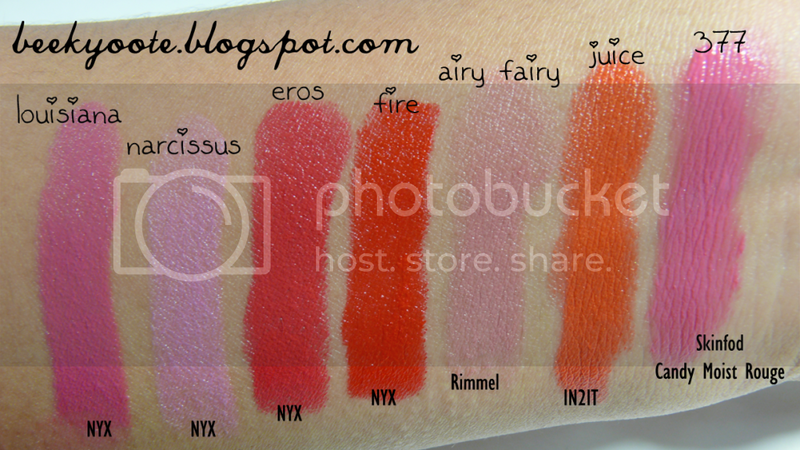 NYX: Louisiana, Narcissus, Eros, & Fire. Rimmel Airy Fairy. IN2IT Juice. Skinfood Candy Moist Rouge in 377. My NYX lippies in Louisiana and Narcissus were bought at two different stores over at the Great Mall at San Jose, CA for either $1.99 or $2.99. I found the cheaper lippie later that time we were at the mall! 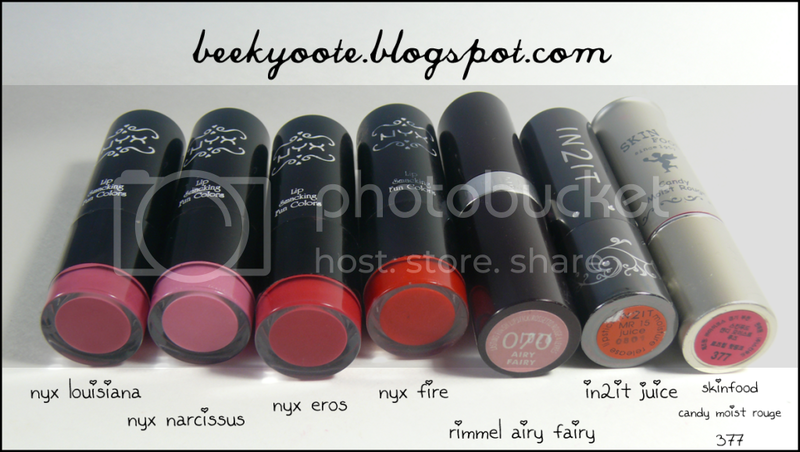 My NYX Eros and Fire were bought from a forum sale in Girltalk for P100. I actually had a post on this in my old blog! I bought the Rimmel Airy Fairy here in the US while the IN2IT Juice was bought from Landmark in Makati, Philippines (about P300, I think?) 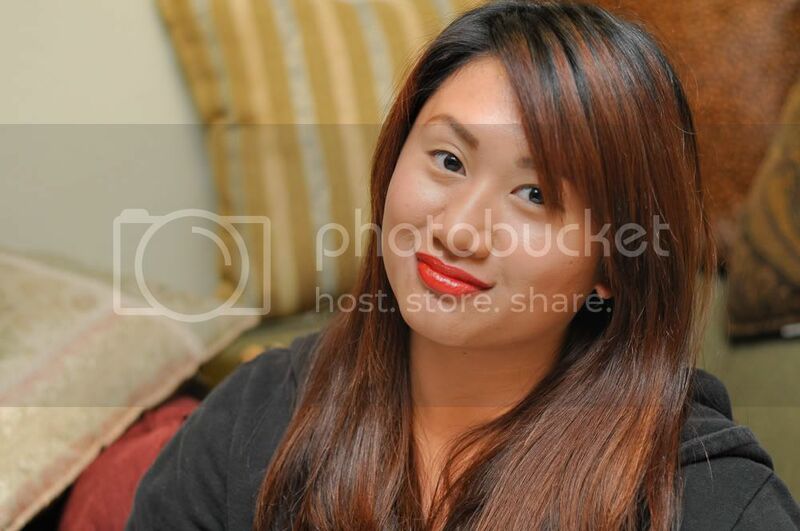 and the Skinfood lipstick was from a seller of Korean makeup in multiply (on sale). All my lipsticks aren't drying at all. They're all pretty average in moisture especially the Skinfood lippie which is so moisturizing (almost jelly-like)! You may have noticed that NYX Narcissus makes me look like I'm sick...LOL. I know! I'm sad it doesn't suit me at all but I'm keeping it in case I'd use it on other people. As for the Rimmel Airy Fairy, I'm not too sure right now... I've used this everyday when I was in Chicago but now I don't know if it matches me. What do you think? HAHA. As for the rest, I like them all! 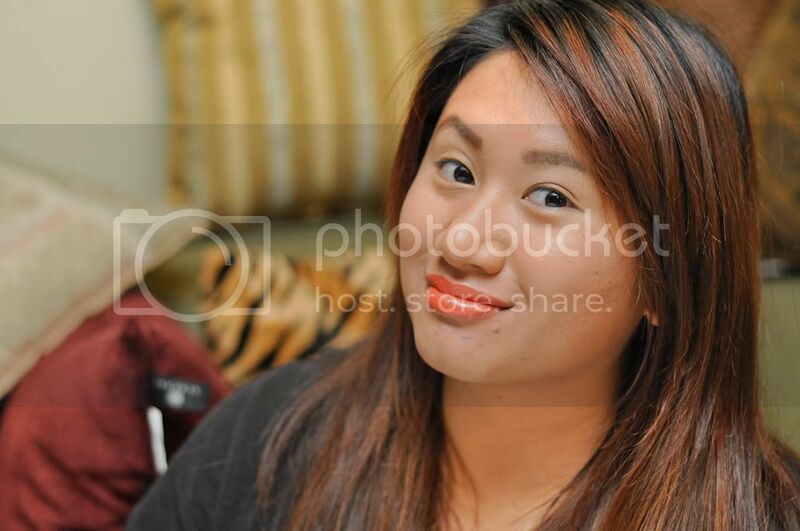 The IN2IT lipstick in Juice was the most affordable orange lipstick I found when I was in the Philippines, by the way. It was hard finding a lippie that was true to the name "orange"! So check it out if you're looking for an orange lippie! The staying power for these lippies are all pretty average. Never leave the house without it because you'll see the need to re-apply later. I'm not sure if I will repurchase the IN2IT or Skinfood lippie because it is much more expensive than NYX here in the U.S. Then again, my sister has a bunch and she doesn't mind sharing at all! LOL. 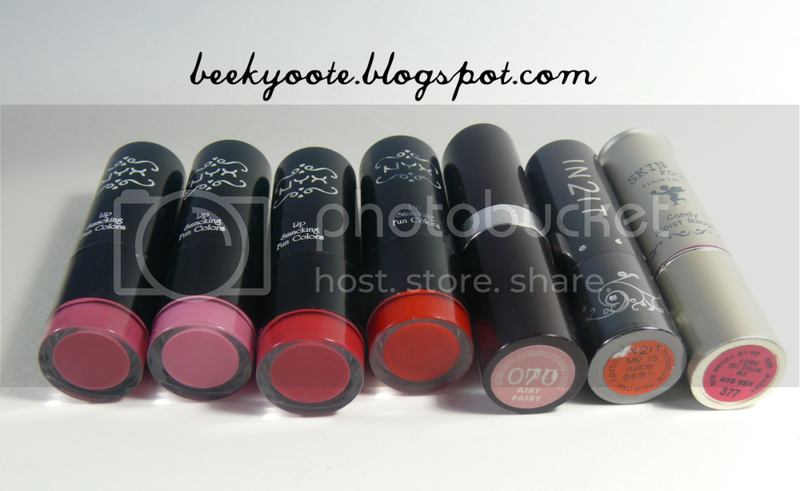 If you check my old blog, I had a bunch of other lipsticks but I either gave them away or used them up... And I guess I'm still not that into lipticks till now! So pardon me for my small collection! I hope to be doing a post on my sister's NYX haul soon, so watch out for that! 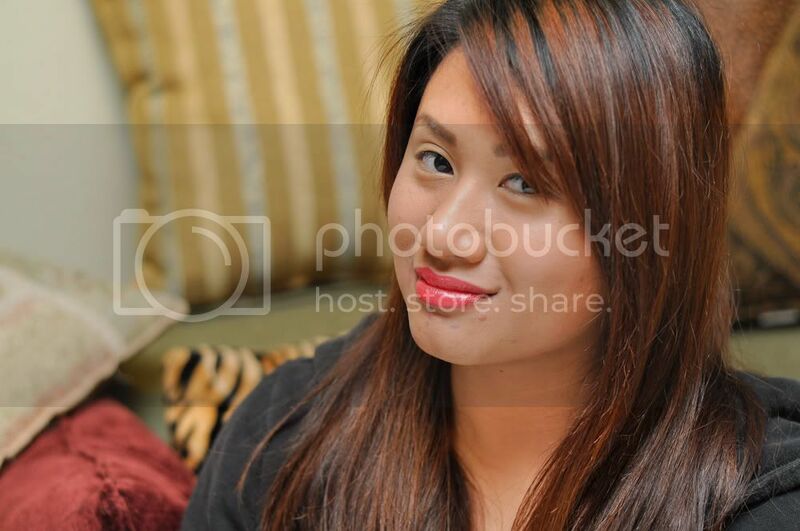 And I'm thinking of coloring my hair again soon... Teehee. Have you tried buying it online? Cherryculture.com has those lipsticks for only $1.99! Tagged you for some awards!